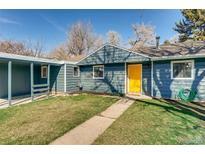 Below you can view all the homes for sale in the University Hills subdivision located in Denver Colorado. Listings in University Hills are updated daily from data we receive from the Denver multiple listing service. To learn more about any of these homes or to receive custom notifications when a new property is listed for sale in University Hills, give us a call at 720-729-2320. Home Warranty of choice provided for Buyer(s). MLS#8015080. DENVER R.E.S..
Just move in to this one. MLS#4167922. Fresco Real Estate. 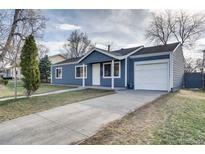 ***Seller to include 1 year home warranty with purchase*** MLS#2528098. Keller Williams Realty Success. Just a short walk to parks, shops, and restaurants conveniently located to I-25 and Light Rail. MLS#5291124. Resident Realty South Metro. Includes washer and dryer as well! MLS#9374380. MB THE CORBETT GROUP. Buyer to verify all square footage. MLS#7481552. COLDWELL BANKER RESIDENTIAL 24. It’s just a 6-minute drive to the University of Denver campus and only 50 minutes to the surrounding mountain areas. MLS#3898098. Kentwood Real Estate Cherry Creek. - won't need painting for another 10+ years. VERY DEEP LOT. MLS#5315774. HomeSmart Realty Group of Colorado. Located on a great block on a large lot close to Eisenhower Park and the High Line Canal - this home is it!! ! MLS#7187956. COLDWELL BANKER DEVONSHIRE. Single Car Detached Garage for great storage of Collector Car & Pool Supplies. MLS#1672333. Rocky Mountain R.E. Advisors. There is a StrucSure 10 year home warranty! ! MLS#4308085. HomeSmart Realty Group of Colorado. RTD Light Rail at Yale, DTC, Cherry Creek & the University of Denver. MLS#7881671. MB Sam Barnes Realty. The home is just minutes to light rail, the Highline Canal, and a wealth of terrific shopping and dining options. Welcome home! MLS#8012100. Keller Williams Realty Success. New two car garage built in 2016 + 1 car garage + shed. Truly a must see! MLS#7905134. ASPEN SNOWMASS SOTHEBYS INTERNATIONAL REALTY. This home is totally gorgeous, with too many luxury features to list! MUST SEE! MLS#5169098. HQ Homes. 22 trees on lot including aspen trees, walking distance to Bradley elementary (excellent ratings). Don't miss out. MLS#7928651. Equity Colorado. Bring your imagination to this beautiful lot! LOCATION LOCATION LOCATION!!! ! MLS#5833163. Brokers Guild-Cherry Creek Ltd.. The neighborhood allows easy access to Eisenhower Park, the Denver Library, S. Colorado Blvd retailers, restaurants, and light rail. MLS#2425394. Your Castle Realty LLC. Direct Access - Highline Canal trail. Shops close by. MLS#6117337. Your Castle Real Estate Inc.
Great location near the Highline Canal, the light rail, DTC, schools, shopping, restaurants, movie theatres, and trails! MLS#5823988. Keller Williams DTC. Don't miss out on owning this wonderful home in great neighborhood! MLS#7283994. eXp Realty, LLC. This quiet cul-de-sac is close to light rail & all the parks, shopping & dining that a downtown home has to offer. Open enrollment for Denver schools. MLS#1810911. Thomas Sattler. This quiet cul-de-sac is close to light rail & all the parks, shopping & dining that a downtown home has to offer. Open enrollment for Denver schools. MLS#3629495. Thomas Sattler. Basement Bedroom may be non-conforming. Buyer to verify all information. MLS#7146317. RE/MAX Synergy. A show stopping home complete with designer finishes this one will not disappoint! MLS#5969530. Vision Real Estate Llc.